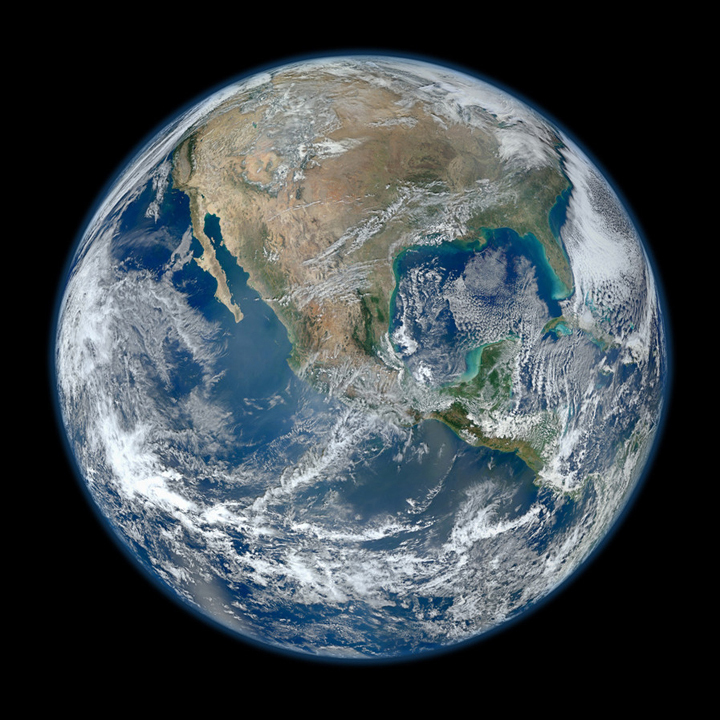 Last month, NASA released Blue Marble 2012, a high-definition photograph of Earth taken from space. 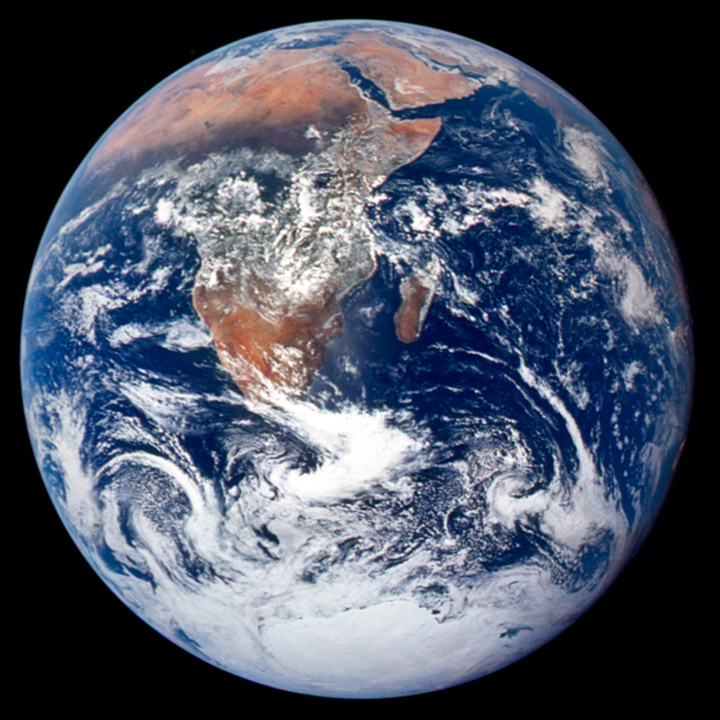 The original Blue Marble was taken on December 7, 1972 by the astronauts of the Apollo 17 lunar mission. It was the first clear image taken of our entire planet. The famous photograph shows much of the eastern hemisphere and a cyclone in the Indian Ocean. The new image highlights North America. It is a composite of numerous photos taken on January 4, 2012 by the Suomi NPP satellite. The remarkable clarity of the photograph is a product of the satellite’s onboard Visible /Infrared Imager Radiometer Suite (VIIRS) instrument. This satellite is named in honor of the late Verner Suomi, a pioneer of satellite meteorology. It will gather data for enhanced weather forecasting and climate models. This entry was posted in weather and tagged arts, space by Melissa Fleming. Bookmark the permalink.